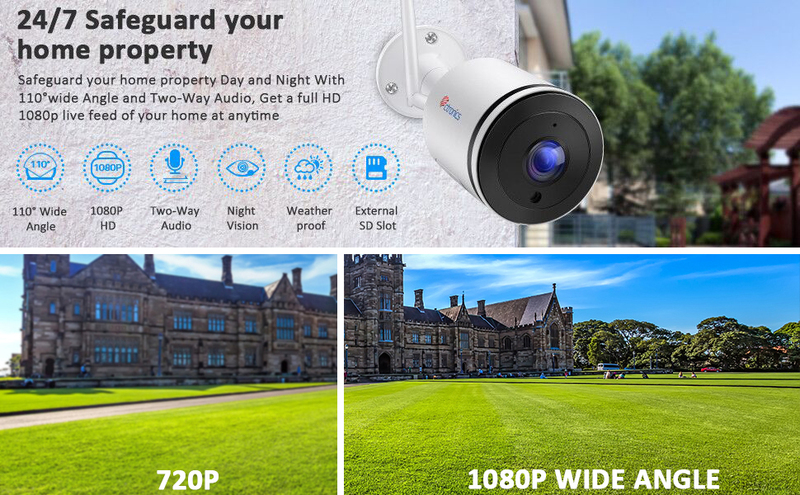 【1080P Resolution & 110°View Angle】- Equipped with 4 pieces full glass lens, 1/2.7” CMOS sensor and a 2.8mm HD lens, this home security camera delivers 1920x1080P HD resolution with a 110° wide view angle live stream video to you. 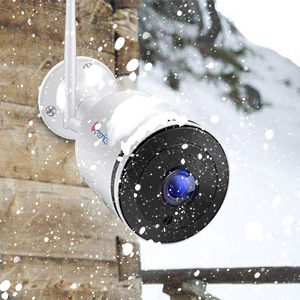 This wireless security camera delivers 1920*1080P high definition images, so you can capture clear details around your home. A 110° wide-angle lens with distortion correction ensures that you can see enough activity, and the ball mount gives you more freedom of where you want to view. 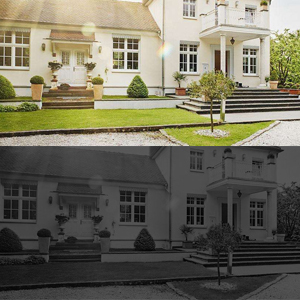 This outdoor security camera delivers clear images no matter in rain, wind or shine with the IP66 level waterproof rating, you can monitor both indoors and outdoors for home safety or commercial purpose. It’s operating temperature can be ranged from 5°F to 122°F(-20℃ to 50℃). 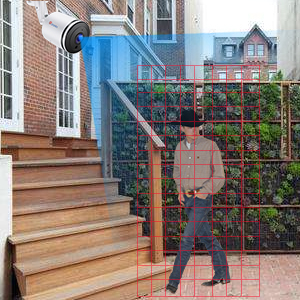 Customize your motion zones to focus on the most important areas of your yard, only alert you of unwanted intruders with highly sensitive algorithms and motion detection area function. Get a motion notification through the Ctronics App when unexpected motion is detected. 4 pieces array Infrared LED lights provide clear night version to help you get clarity files even at the dim environment. It keeps recording at 20 frames per second to ensure a smooth video footage even when the items quick move. This wifi camera can monitor your home or office room clearly and easily whether it's night or day. 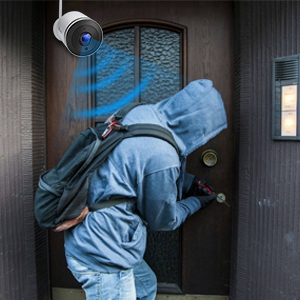 Built-in microphone and high-power speaker in the video security camera, you can communicate with your family members, friends and get rid of the unwanted guests through the Ctronics App whenever and wherever, not just watching the live footage, but truly feeling like you never left home. 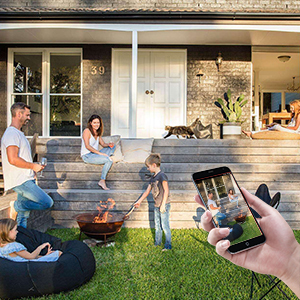 Ctronics App can let you view the Camera's live feed even you are not home, remotely communicate with your family members and truly feeling like you never left home. Ctronics App supports add different Ctronics cameras at the same time.